FORGET the reindeer, the mistletoe and even the tree – Christmas just would not be Christmas without ROAST POTATOES. The humble roast potato beat turkey, stuffing and Christmas pudding as the most popular food on December 25. 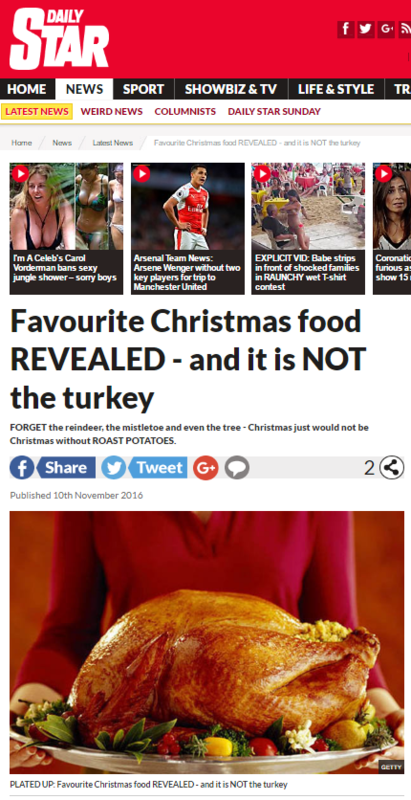 Carrots took the second spot ahead of turkey, gravy, stuffing, ‘pigs in blankets’, parsnips, sprouts, Christmas pud and Yorkshire pudding. What is the most popular food for a festive dinner? 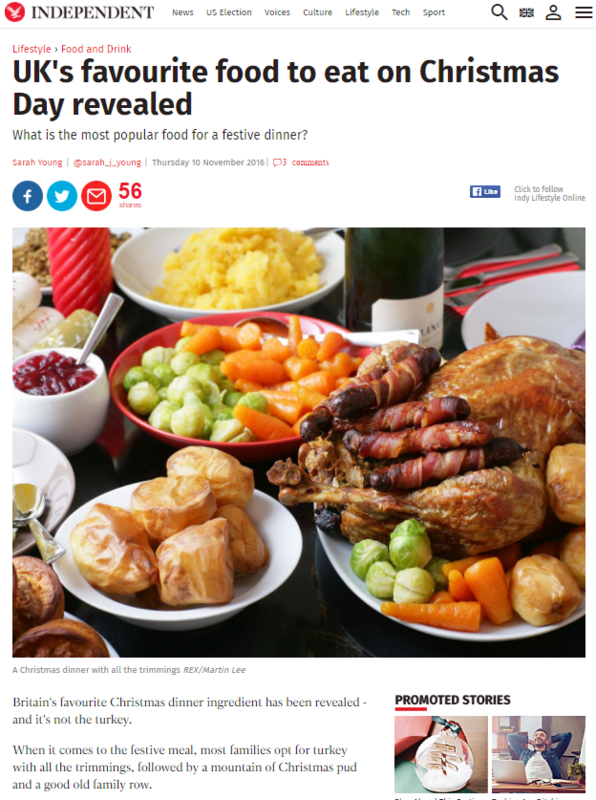 Britain’s favourite Christmas dinner ingredient has been revealed – and it’s not the turkey. When it comes to the festive meal, most families opt for turkey with all the trimmings, followed by a mountain of Christmas pud and a good old family row. But, according to a survey of 2,000 Asda customers, the festive bird doesn’t take the top spot. The survey, which marks the launch of Asda’s Christmas TV advert this week, also highlighted the 10 days of Christmas, and pointing out that December 5 is the day most of us put up our tree, decorations and watch our very first Christmas-themed movie. It’s bad enough that the PR and advertising industry has insisted the John Lewis Christmas advert is a ‘thing’ so often that it’s started to catch on, but now we have other big companies trying to jump on the brandwagon. Ho ho ho. This entry was posted in ASDA and tagged asda, independent, Sarah Young on November 24, 2016 by Michael Marshall.